LittleBigPlanet Game of the Year Edition just got official. We’ve known about it for sometime, but now the Playstation Blog has let loose a slew of details on the title, including some surprising additions. First of all, there’s the DLC boxed into the game that was valued at over $30. This includes the Metal Gear Solid level pack and costumes, animal costumes, and history and monster costumes and packs. So that’s the original game, and a whole load of extra costumes, stickers and levels — so far, so good. 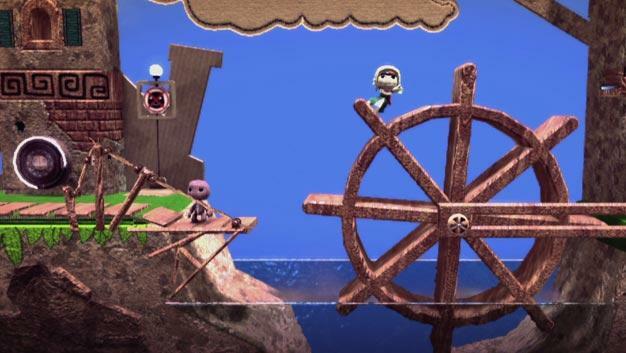 It gets better though, as the game includes 18 exclusive levels, each designed by some of the best creators in the LBP community, hand picked by Media Molecule themselves. This should give new users just a little taste of what to expect from LBP’s 1,000,000+ user levels already out there. The final piece of the package however is by far the most exciting. A limited amount of copies will come armed with a voucher, and that voucher will get you into the ModNation Racers Online Beta. ModNation is being billed as the second entry into the “Play, Create, Share” genre that LBP invented, and this will be users first chance to get their hands on the game. So a pretty decent package for this GOTY edition then. The price still sits at $60 and will be released on September 8th.